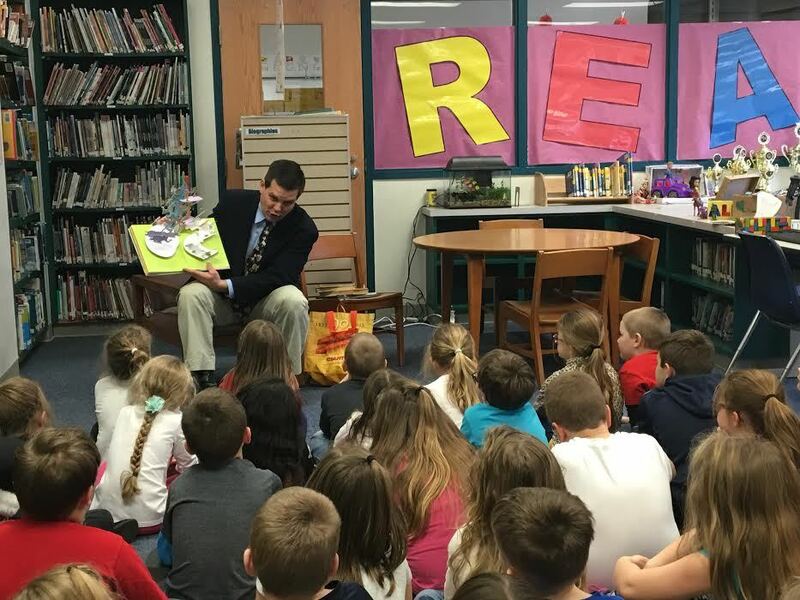 Howard Elementary School had a guest reader Feb. 27 – Jay Paterno, former Penn State football quarterback coach, current author and son of the late Penn State head football Coach Joe Paterno. He stopped by the school in the afternoon to help students celebrate national Read Across America week – time celebrated during the week of Dr. Seuss’ birthday, March 2, to promote literacy. “Reading can take you anywhere,” Paterno told the kindergarten to fifth-grade students before he began to read in the school’s library. Howard Elementary will be celebrating the week with different daily themes. On Tuesday, it was crazy sock day. Friday will be hat day and will include guest reader Joe Murgo, WTAJ meteorologist.